William the Conqueror; the life of the man who changed the face of England and hence, the world. Click here for the code snippet to embed this quiz in your website. Be sure to register and/or logon before taking quizzes to have your scores saved. 1. In which country was William the Conqueror born, circa 1027? 2. At what age did William become Duke of Normandy? 3. William and King Harold met before the Battle of Hastings. What were the circumstances? 4. Which childless King of England (1042-1066) prompted the situation that saw succession become such a contentious issue? 5. What event weakened Harold's army before the Battle of Hastings? 6. On what day in 1066 was William crowned William I of England? 7. As King of England, what was William the Conqueror's approach to land reform? 8. What was the census vehicle by which William the Conqueror kept himself informed of the population and property throughout England? 9. 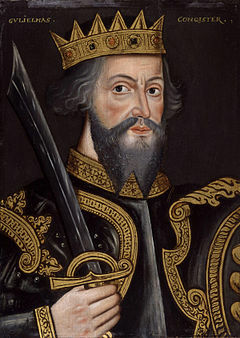 Which of the following is not a legacy of William the Conqueror's rule in England? 10. In which country was William I buried in 1087, following his death due to wounds received from his saddle pommel?